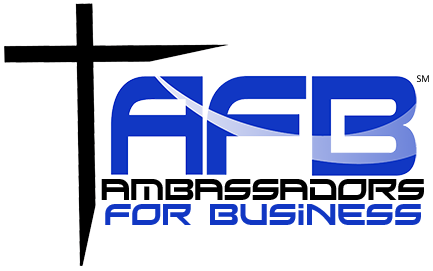 Ambassadors for Business is a 501(c)-3 non-profit that largely exists and operates by the financial support of our sponsors and donors. Your donation transforms communities from the inside out through the events and resources of Ambassadors for Business. Your donation supports efforts to equip Christians in the marketplace to be salt and light to those they influence and lead. We thank you for your support and financial contributions to the mission and vision of Ambassadors for Business!